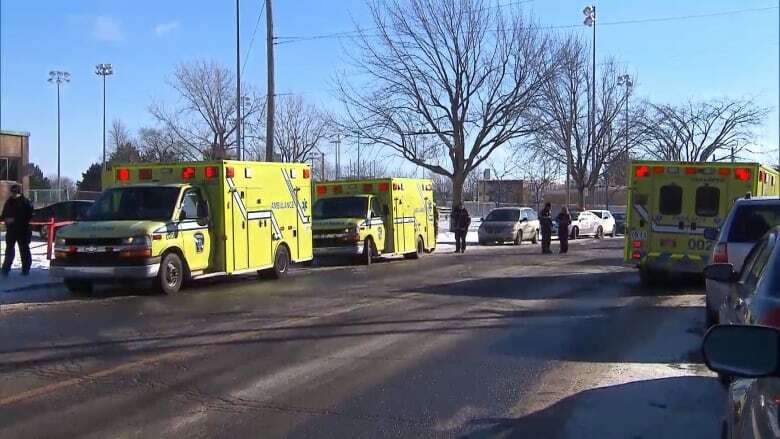 Montreal's fire chief suspects a faulty heating system could be responsible for a carbon monoxide leak that sickened dozens of students and staff at an elementary school in the city's south end on Monday. Montreal's fire chief suspects a faulty heating system could be responsible for a carbon monoxide leak that sickened dozens of students and staff at an elementary school in the city's southwest end on Monday. First responders took 35 children and eight adults from Des Decouvreurs elementary school to at least three Montreal-area hospitals — the Montreal Children's and Sainte-Justine hospitals, as well as the Royal Victoria Hospital. Nine students lost consciousness in the school, according to Montreal Children's Hospital emergency room doctor Dominic Chalut. Others were nauseous, vomited and were dizzy, Urgences-santé spokesperson François Labelle said at the scene. The sick children are between the ages of six and 13. 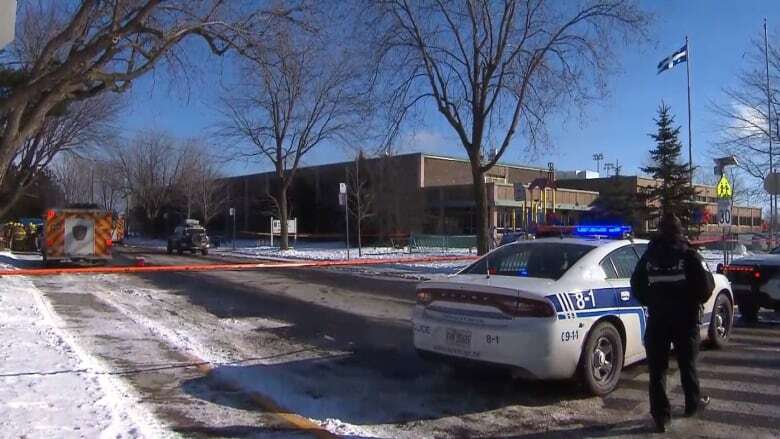 Des Decouvreurs school, located on 39th Avenue, near Riverside Park in the borough of LaSalle, was evacuated soon after a 911 call came in from the school at 11:12 a.m. ET. The children who weren't sick were moved to nearby Notre-Dame-des-Rapides school. CO detector missing or faulty? According to fire Chief Francis Leduc, the carbon monoxide leak could have come from a bad connection in the school's heating system. Such a defect is not uncommon, he said, and because carbon monoxide is odourless, its presence can be hard to detect. Leduc said most schools are equipped with carbon monoxide detectors, but Des Decouvreurs was not. Marguerite-Bourgeoys school board president Diane Lamarche-Venne disputed Leduc's comments, saying the school is equipped with both a carbon monoxide detector and a methane detector — although neither are mandatory under Quebec's construction code. Both devices were inspected last fall, she said, and the school board will work to determine what went wrong. The school is closed Tuesday for inspection. 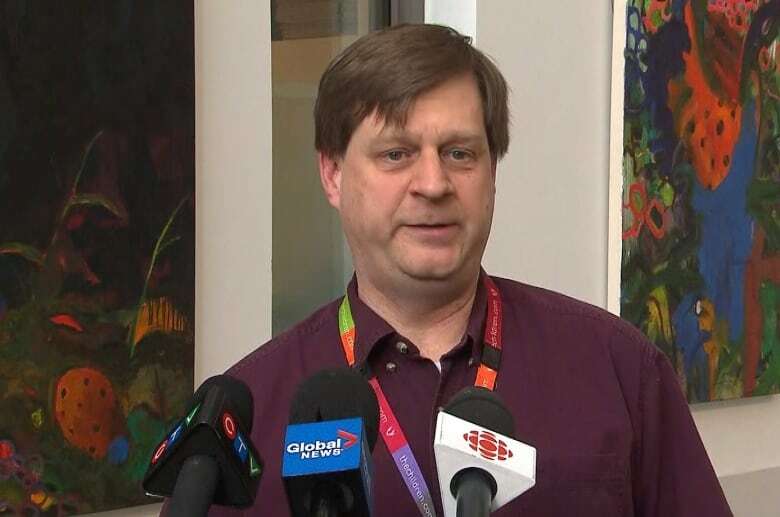 The province's building inspection board, the Régie du bâ​timent, confirmed that the construction code doesn't include regulations that schools must have carbon monoxide detectors. The Montreal Children's Hospital issued a Code Orange for most of the afternoon, lifting it around 4 p.m.
During a briefing, Dr. Robert Barnes, the hospital's associate director of professional services, had asked that parents of sick children take them to other hospitals as they dealt with the influx of cases. The hospital received 16 children to its emergency room, according to a statement. Barnes said that 10 children — the nine who'd lost consciousness at the school and one who was having issues with balance — were sent to Sacré-Coeur Hospital to receive hyperbaric oxygen therapy as a precaution. All were in stable condition, he said. According to Chalut, another child is being kept at the Montreal Children's Hospital for prolonged oxygen therapy because bloodwork showed they were suffering from mild acidosis. A spokesperson for Sainte-Justine Hospital said that by 3 p.m., it had received 22 children from the school. 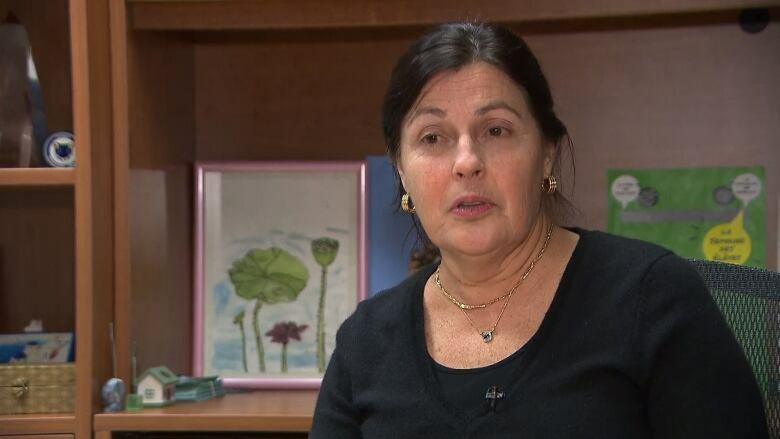 Quebec Health Minister Danielle McCann said she was happy with the rapid response from Urgences-santé and that there will be a thorough investigation into what happened. "We must learn from this event, manage it with our partners and ensure that we take the necessary measures that it doesn't happen again," she said. The school board called parents and sent them an email, asking them to pick up their children at Notre-Dame-de-Rapides and explaining that the building had a problem "possibly related to the school's heating system." Robert Lalli, who has two sons at Des Decouvreurs, said parents received very little other information about what had happened. "We only know the school was evacuated for precautionary reasons for a possible type of leak — gas leak," he said. He said he's satisfied with the school's response. "They can't call everyone the minute it happens," Lalli said. "The school's got to do what the school's got to do." 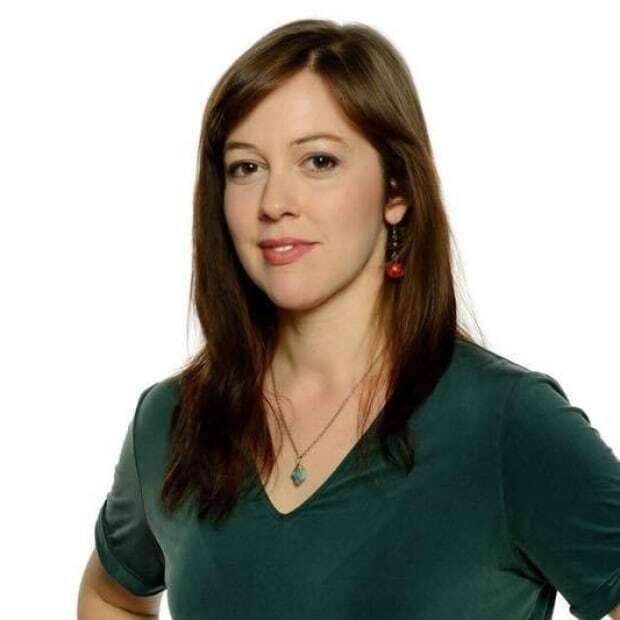 Elysha Enos is a journalist with CBC Montreal.